In the fist column there are mostly pinks, one white(my fav!) and one brown. The second column has all warm colors such as golds, coppers and browns. The third column has a mixture of colors, a few warm copper colors, a Burgundy color, browns, and a nice moss green. The eleventh column (and the last) has a few cool toned neutral colors, a few coppers, and a pink and a purple. The first look I did back in December of last year when I first got the palette. 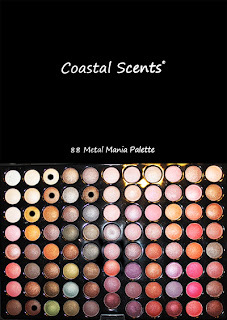 I have this CS palette but I never seem to use it. I think this might inspire me to try a full look with it! P.S. - What kind of camera/editing do you use for your shots, the tone and color quality is always so on point. Wow, thanks for the swatches! 7 is my fav too and that green is super pretty. I love both looks too...gorgeous as always, girl!! 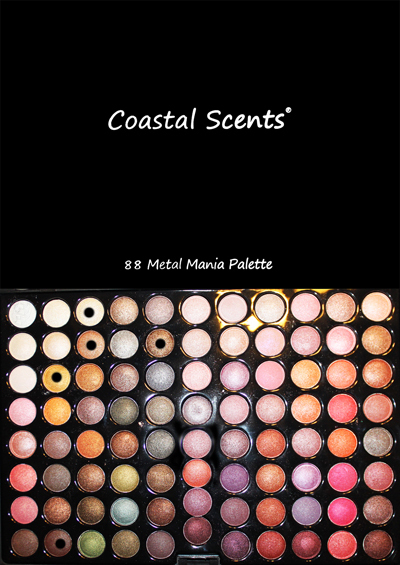 I've wanted the palette for a while now but keep putting it off because I have the Mirage palette and I feel like a lot of the colors are similar. But those purples and browns are to die for so I think I will take the plunge next time I get a little extra cash. Thanks for doing these swatches! It's super helpful! @Meredith Jessica: The Camera I use is the Canon EOS Rebel T1i and for editing(I just increase the brightness/contrast and resize my images) I use Photoshop CS. Hope this helps :) Btw love your blog! @Diva Makeup Queen: Thank you so much! Wow! There are some GORGEOUS colors in that! And they're all so VIBRANT and BRIGHT! Did you use a primer for your swatches or is them on their own? If they're shadows only, I bet they go to a-whole-nother level in brightness. Your looks are gorgeous too!! Thanks so much! PS - are they really "scented" or is that just a clever name .. if it is just named "coastal scents", I don't get the connection between the shadows, themselves, and the name. Swatches: All of my NYX eyeshadows! Skye Sweetnam Inspired & New Name!